This is one of the most important rules of gun safety when you have a gun stored in your home. Whenever using or cleaning your firearm, keep the muzzle pointed away from anyone else or yourself. It should be pointed in a safe direction where no injuries would result from an accidental discharge. When your gun is not being used, it is important to keep it unloaded. Before you handle it or store it, check to make sure there are no bullets inside the chamber. 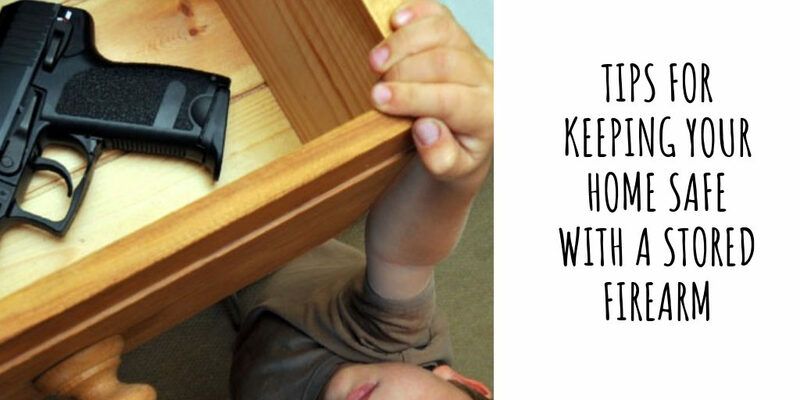 This tip is essential in the unfortunate occurrence a child finds your gun and messes with it without your knowledge. Always store your guns in a locked cabinet, gun vault, storage case or safe. Make sure this location is not accessible to children and cannot be handled by anyone who does not receive your permission first. Additionally, your ammunition should also be locked away and stored in a separate location than your firearm. Consider a locking device that will render your firearm inoperable when it is not in use by you. This is a great additional safety precaution to use, but it is not a substitute for securing your gun in a locked safe. These are some of the more common safety tips that any gun owner should follow. Owning a gun comes with a lot of responsibility and should never be taken lightly. It is every citizen’s right to own a gun, but certain rules need to be followed.